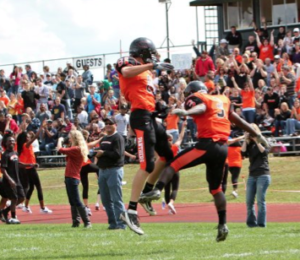 As a Greenville College football player heading onto the football field, you expect to be fully unified with your teammates. Being part of the team for four years, I felt that I had a good idea of how my teammates are thinking and feeling, and even how they will act. This is where team sports begin to become life changing. 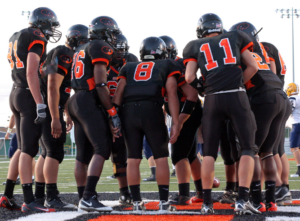 Team sports rely on individuals who can truly love and trust each other to achieve success on and off the field. 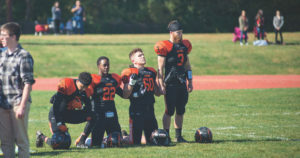 In week three of the football team’s season, our opponent on the field was from Iowa Wesleyan College, but our opponent as a team was and continues to be racial division. It was prior to our game that the nation was put into an uproar when San Francisco Forty-Niners quarterback Colin Kaepernick sat, and then eventually took a knee during the National Anthem during multiple preseason and regular season games. I did not expect my teammates to protest, nor what to think if they did protest; but when they did, it hurt and I felt disrespected. I could not understand my teammates’, my brothers’, decision to kneel during the National Anthem. This lack of understanding of my teammates’ reasons for kneeling lead to rage and frustration toward some of my closest friends on the team. You see, my sister is a United States Army veteran, and I can sympathize with the disrespect many of the veterans have voiced about protesting during the National Anthem. However, as my closest friends and brothers in Christ took a knee each week, I was also confronted with my own biases and beliefs about racial division. Throughout the remaining weeks of the season, the football team was opposed by two opponents each week: the opposing teams and racial division. Although our record does not reflect a successful season in terms of wins and losses, through Christ we learned to attack the latter opponent through His love. 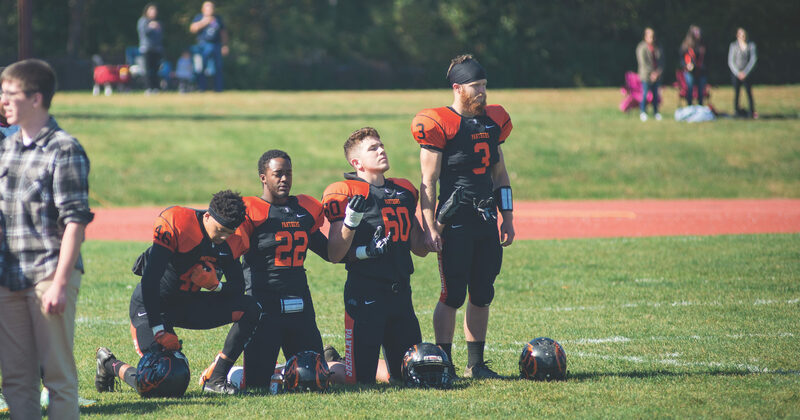 The Greenville College football team and various individuals involved with the team have been viewed numerous ways from outside sources for kneeling during the National Anthem, both positive and negative. Loving my teammates through Christ has brought me to the realization that they are bringing different thoughts, beliefs, experiences, and opinions to our team, school, and community. With these differing thoughts, beliefs, and experiences, I have felt sorrow, joy, anger, and peace because the majority of opinions I heard are different than my own. Sports require people to live in intentional community and to strive for what is best for the whole body of individuals. The protests of kneeling during the National Anthem have challenged my assumptions of what a true team looks like; uniformity in a team does not necessarily mean uniformity in thought or beliefs. Ultimately, I am thankful for the protests, my teammates, and the charge for racial equality. While I am grateful and indebted for those who have served for our country, I am also thankful for everyday citizens who are standing up, or kneeling, for what they believe is right. Through this season and our team’s commitment to attacking opponents on the field and our own biases, I have learned more about what it truly looks like to be unified as a group of Christian men in the face of adversity. Needless to say, this season has taught us that we are not necessarily going to think alike for all components on an issue like protesting, but we have learned to challenge ourselves. I have learned that we are a group of individuals committed to one another, who have not and cannot lose sight of who we are trying to represent. We could end the season with only two wins, but in the end, our team has embarked on much more than 10 games. We have learned through this season how to lovingly embark on a Christ-centered process that transcends football, Greenville College, and ourselves. For that I am grateful.